24 Go Dark is a perfume by ScentStory for men and was released in 2012. The scent is smoky-earthy. It is still in production. Gabriel Chami, owner of ScentStory, set up an interesting and simple perfumes business model. When this company started in 2008, he proposed the "customer availability of niche fragrances without having to rob a Bank". With a strong belief that fragrances are a perfect media for story telling as well as expressing true feelings and emotions. The scents concocted by ScentStory are powerful and obsessive. Its 24 range of fragrances offers us a burst of intense scents created by artisan perfumers, but developed in the pure tradition of French fine perfumery. The proposed fragrances are positioned halfway between a Niche behaviour and a Designer one.Undoubtedly their "Elixir" line of fragrances is niche and unique, while others could populate a shelf of most medium and top designers. ScentStory exudes confidence with 24 Go Dark through a spirited and oriental masculine cologne. This scent sits upon an animalistic base of rich leather, earthy musk and sweet strong vanilla that mark the scent perceived by the surrounding people during the dry down. An aromatic heart notes of spicy pepper and exotic patchouli characterize the middle evolution and present a good blending with top and bottom notes. The opening is kind of short lived, presenting a zesty lemon and bitter bergamot together with other citrus and apple. As a general sentiment, the fragrance is enchanting, sophisticated and distinctly mysterious. Its general aroma is of a smoky, dark, earthy and sweet perfume. To my liking, it's a jewal that fulfills my deepest requisits for a fragrance that I really may enjoy wearing. It has an unmistakable ressemblance with the lesser dark D&G The One and The One Gentleman, but with better performance. 24 Go Dark is packaged in a simple yet sleek square black bottle with a chunky black cap and front vivid red numbered detail. 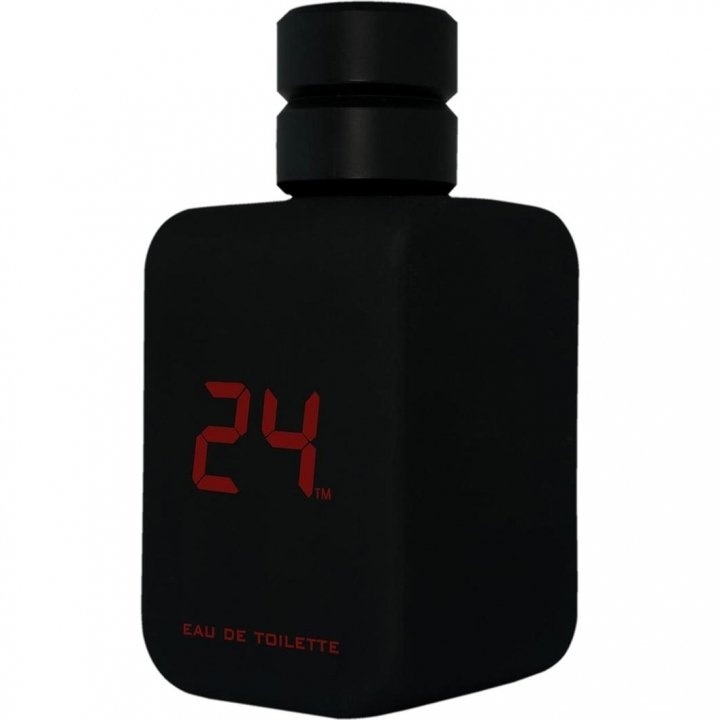 It's similar to other "24" ScentStory flasks, but with a sleek "noir" colour that fits well this fragrance. It seems to have been discontinued but it is easy to purchase in Web Providers, at a very inviting price. Dark? Yes, I guess so. I'm liking this, it's vanillic, powdery and really projects. Scentstory is, to me, the epitome of flying "under the radar", this brand puts out good stuff garnering great reviews but outside of the three major fragrance review sites I'd say the general public has no idea this brand exists. Definitely a fall/winter fragrance or if other time of year, evening wear.